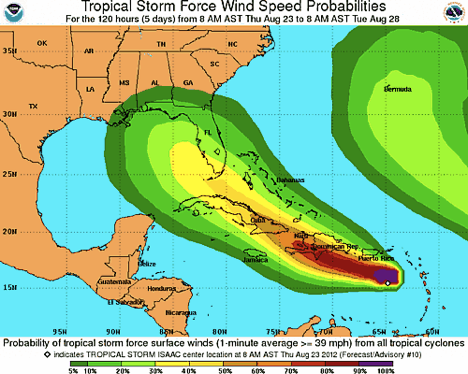 I haven’t written much lately but thought I’d post this image of tropical storm Chantal’s trajectory. 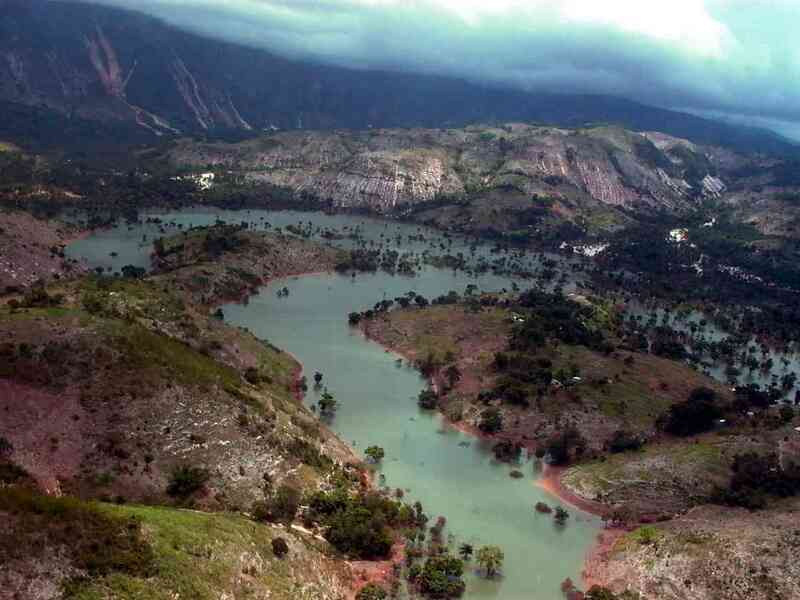 It seems that storms hit Haiti so regularly now that, sadly, we hardly think about it. I’ll probably put another post up on this later in the week. 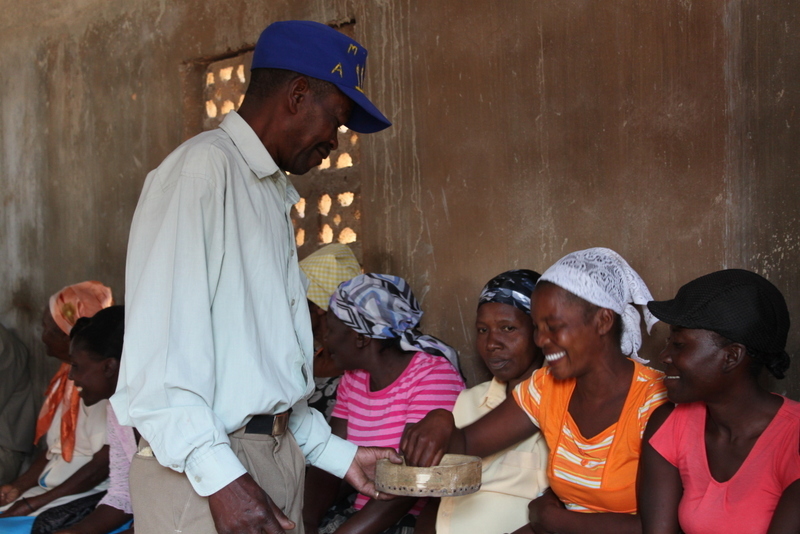 Almost three years ago Plant With Purpose’s international meeting in Tanzania focused on the village savings and loan program,or VSLA, which I’ve written about quite a bit on this blog. Since then, the program has spread the other five countries where Plant With Purpose works. The pattern of pooling savings that are then made available for loans is the same in every country, though groups also have freedom to decide things like how much interest they will charge for loans and so on. Another consistent pattern has been skepticism as to whether “it will work here,” followed in a few months by a growing sense of excitement about how effective the groups are in empowering members and the community to work together to improve their lives. Notice that the leadership of the group is shared by four people who are elected by the group, and that all transactions (savings deposits, loans and loan repayments are handled up front for maximum transparency. 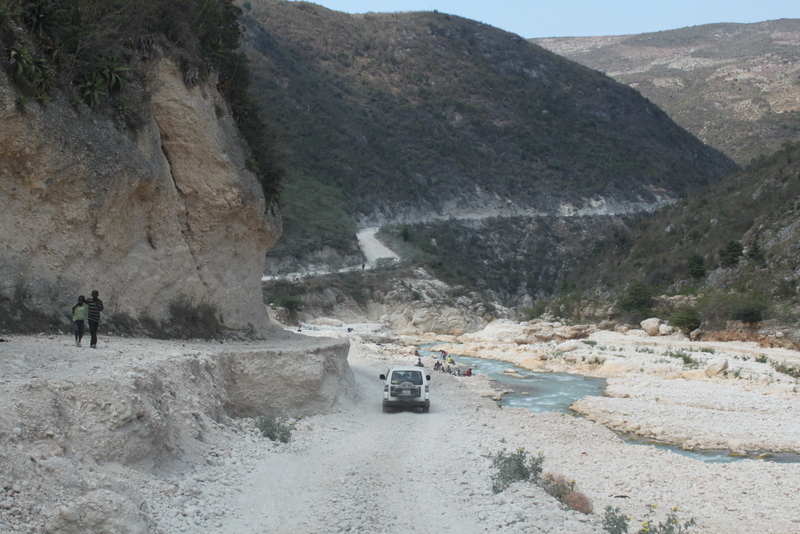 For me this has been a super encouraging and inspiring trip to Haiti and I will have a few more posts, along with better pictures, soon. I made two quick visits to Fonds Verrettes last week. 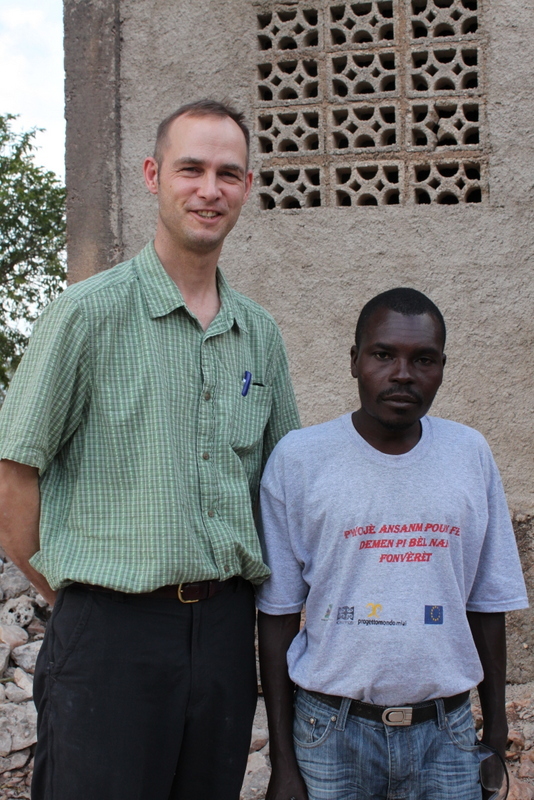 It was very inspiring, as always, to meet the farmers there and hear how the community is moving forward together. Here are a couple of photos and short reflections. 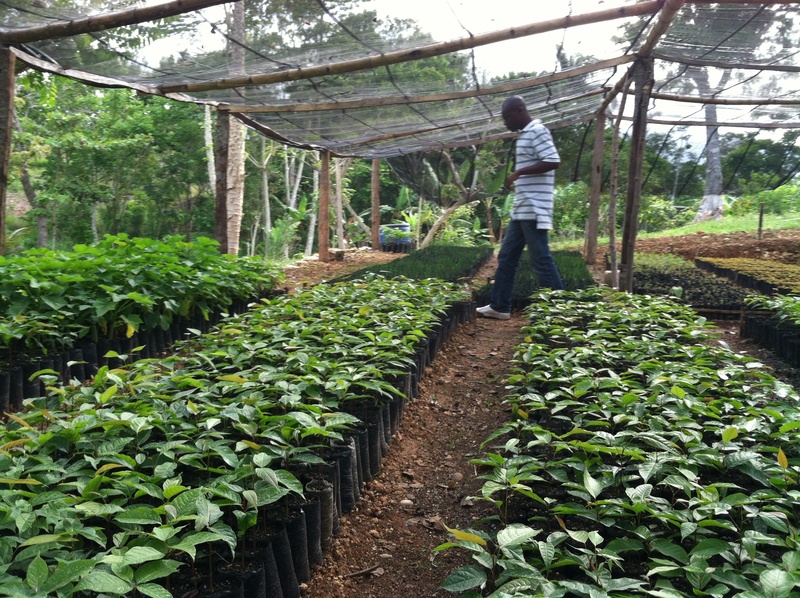 Yes, despite the first picture, trees in Haiti really can grow well! 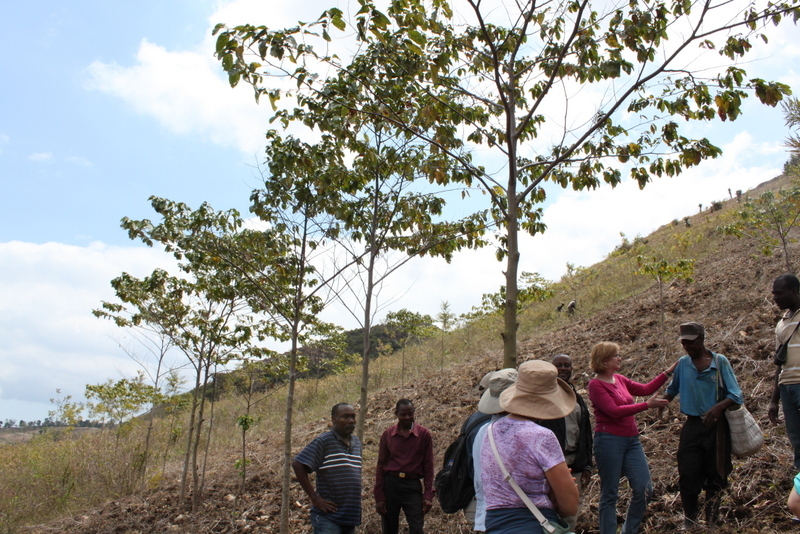 This man proudly showed us his very steep five acre farm, which included these trees. The trees are preventing erosion and increasing his crop yields. He was super happy to talk with us. 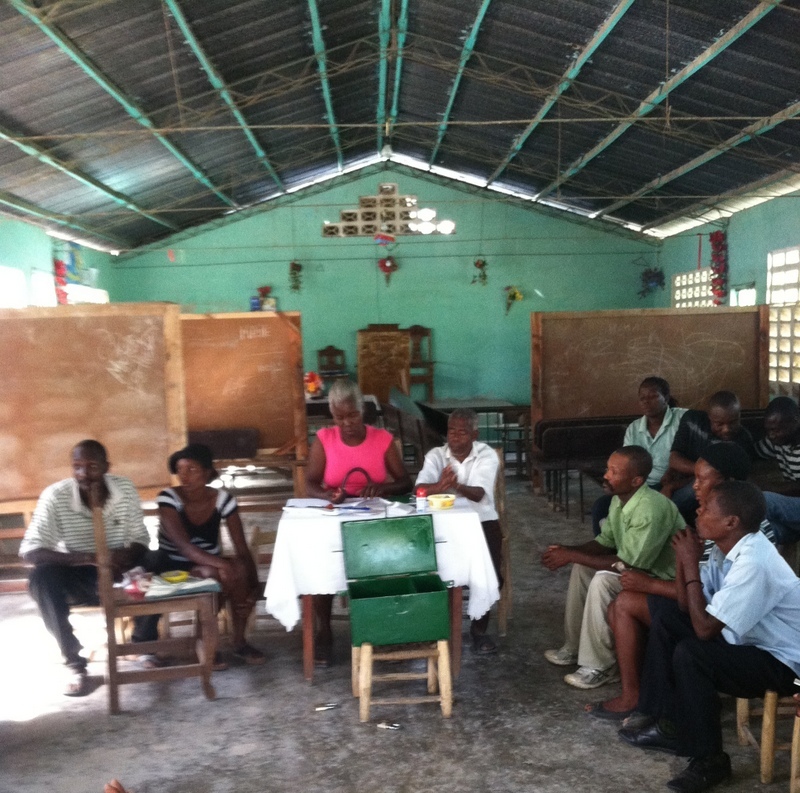 Free and fair elections: This savings group changed their meeting time so we could attend. They selected five new officers for the year, using pebbles to vote for their candidate. The whole process was taken very seriously, though they also had a good time. We get to stay in the lodge in the Foret des pins above Fonds Verrettes. A very cool place to stay. One thing I learned last time I was there was that you can actually heat water in a plastic bottle right next to the fire, you just need to fill it all the way to the top. 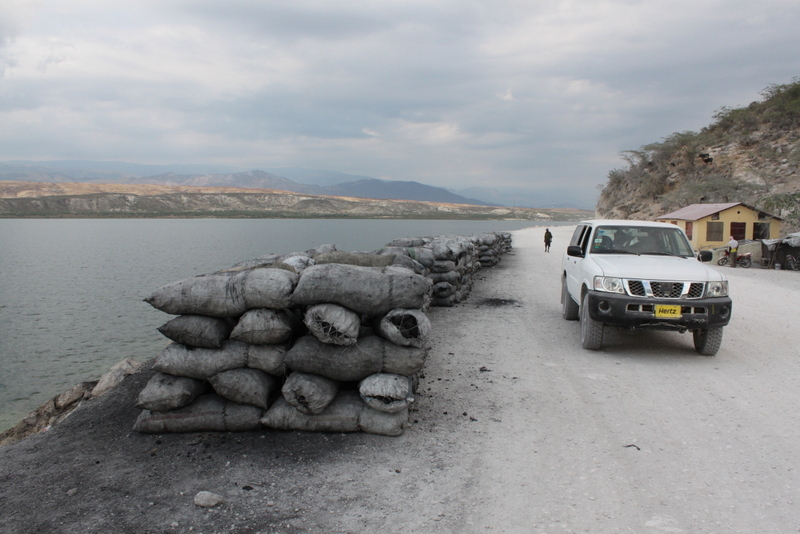 The road in and out of Fonds Verrettes is memorable- here’s one section of it. 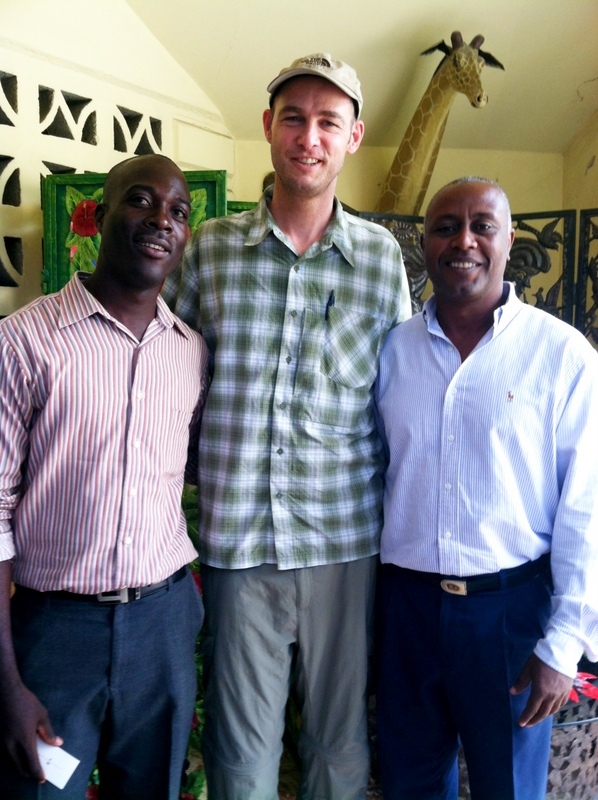 Me with Edvard Joseph (left), Haiti country director Guy Parison, and a giraffe…at least I’m not the tallest one. One of the important changes that happened this year in Fonds Verrettes was that Plant With Purpose hired a new Fonds Verrettes program coordinator, Edvard Joseph. There are 12 staff that he manages, working in 14 villages in the area. Edvard is new to Fonds Verrettes, but not new to Plant With Purpose. 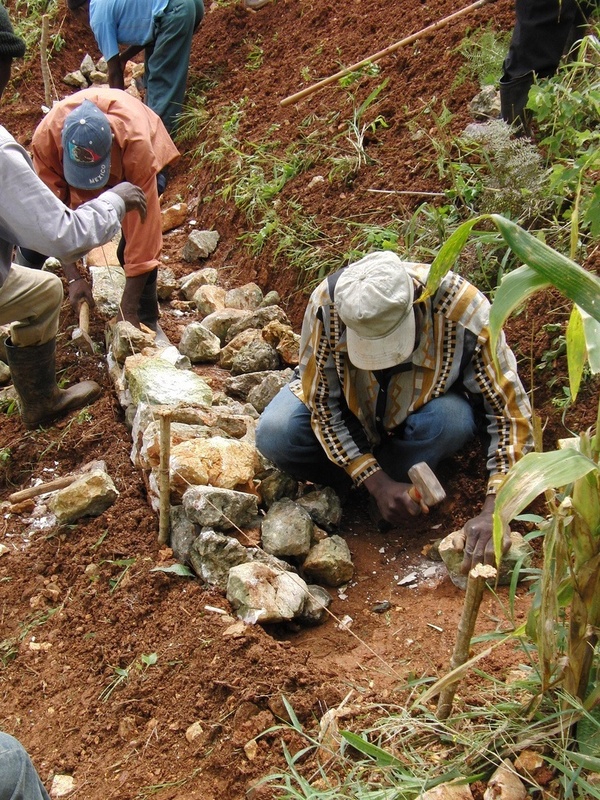 He grew up working with Plant With Purpose in the Grands Collines, our largest program area in Haiti. 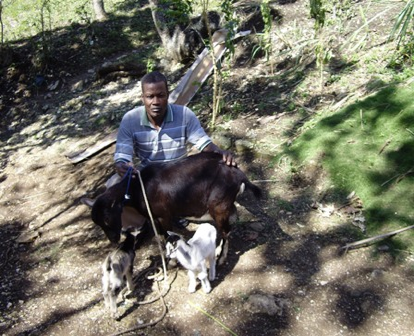 Edvard recently finished his university agronomy studies in Port au Prince. It was really great to get to know him- Welcome Edvard! 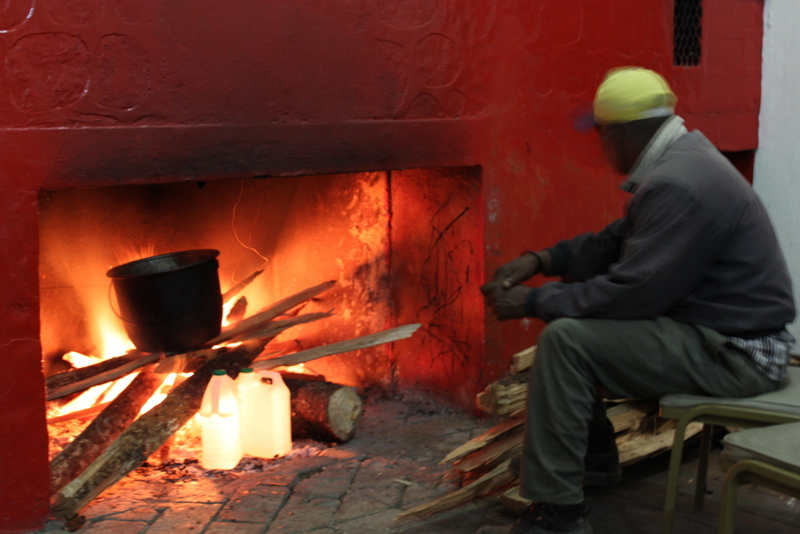 I’m in Port au Prince for another day, but will be driving back to Fonds Verrettes again tomorrow, so I’ll see Edvard again. 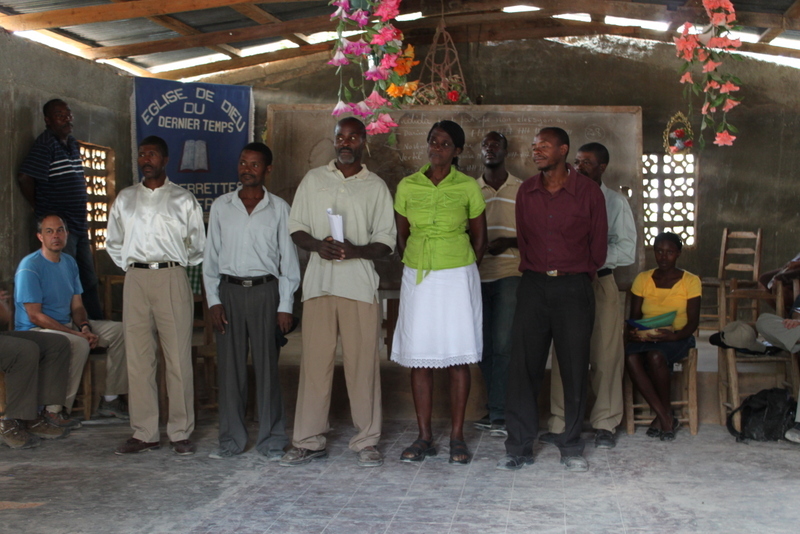 This Sunday I’m going to have another opportunity to visit Plant With Purpose’s work in Haiti. I will try to post while I’m there, but I thought you might be interested in this link to an interactive map of our work there. This map, from Interaction, is a pretty amazing resource and allows you to search and discover what organizations are doing relief and development work all over the world.